Rachel, Lea. 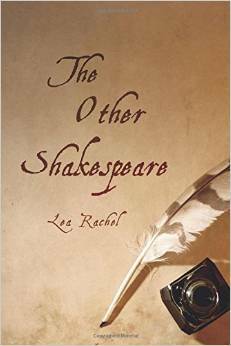 “The Other Shakespeare”, Writer’s Design, 2014. There are so many stories about the Bard of Avon, William Shakespeare that writing about him has become an industry unto itself. This time Lea Rachel indeed brings something new to the table and it is so interesting and well-written. We meet Judith, a talented, created and driven writer whose only shortcoming is her gender. She also happens to be the sister of the greatest playwright that the world has ever known. Yes, she is Judith Shakespeare. We go back to England in the 16th century and we meet Judith, elder sister of William Shakespeare. She struggles to be talented and to be accepted in a world dominated by men (even though there was a queen on the throne). She cannot gain independence as a woman and she is forced to use a heavy hand and some strange tactics to get ahead. She knows what she wants and she means to get all that she feels she deserves. Her decisions are often shocking and always surprising. she struggles to develop her talent and gain acceptance in a world that won’t recognize her because of her gender. Consistently denied her independence, she’s forced to engage in extreme measures to get what she wants out of life—and to make difficult decisions that will shock and surprise you. You might remember Judith Shakespeare from having read about her in Virginia Woolf’s “A Room of One’s Own” but now Lea Rachel has taken that character and written an entire book about her in much the same style as several of the other books based on other novels. However there is a bit of speculation as to what would have been if Shakespeare had been born a woman. I love that this book brings Woolf and Shakespeare, the two greats of English literature together. This is also not just a historical novel—it combines history, social issues and drama and we get quite a story. When we consider that Judith has as much drive as her brother Will and was indeed creative and driven, we can only surmise that having been born female was a tremendous handicap. Her gender deprived her of fame and fortune. Judith had natural talent se had no formal education and was forced into marriage rather than developing her craft. Eventually she had to run away so that she could try to be who she wanted to be. Reading a book like this is akin to playing “what if?” and I love that because it makes me think. There is a surprise here as well so I am telling you to pay attention as you read and you will find at least one Shakespeare quote somewhere in the text. This entry was posted in Uncategorized on November 11, 2014 by Amos.